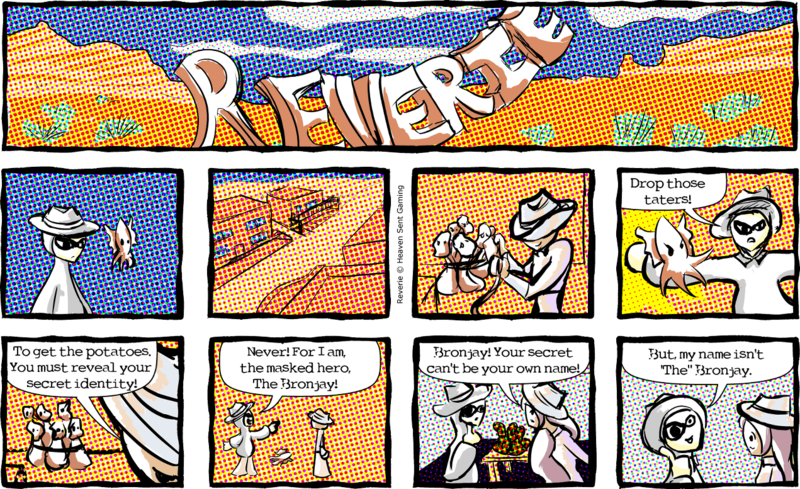 The first Reverie comic of 2014, and the eighty-sixth overall comic of the series. Bronjay and Amalia meet up in another Western showdown. Copyright © 2006–2018 Heaven Sent Gaming Ltd. Co.. All Rights Reserved.